With the rise in outsourcing and with more and more global organizations outsourcing business processes and IT services to India, there has been a number of legal issues in outsourcing. Companies outsourcing to India have to face some complex legal issues with outsourcing. If your organization is outsourcing to India, make sure that your organization is aware of the intellectual property protection and the data privacy and protection in India. Before outsourcing to India, also make sure that your organization knows about compliance with applicable Indian laws, enforcing contractual/legal rights in India and dispute resolution procedures. There are several legal issues in offshore outsourcing and dealing with them effectively can help the organization who wishes to outsource and the outsourcing service provider, to face the legal issues of outsourcing. The following are some tips on efficiently dealing with the legal issues of offshore outsourcing. Offshore outsourcing is often influenced by several international and local issues. The taxation policy of India also has a big effect on the offshore outsourcing decision. Before outsourcing, find out about the tax implications that you have to deal with. This is an important legal aspect to deal with, because different countries have different tax laws. You can meet your outsourcing provider in India and decide about which tax provision would be appropriate in the legal contract. When you outsource to India or any other country, you will discover that the rules of governance are different in different countries. In outsourcing, you and your outsourcing provider have to make sure to include two different legal systems. This heterogeneity in the legal system is an important legal issue with outsourcing that companies have to deal with. This problem exists, because there is no legal system which can be used globally. Different countries even have different intellectual property laws. Since there are no standard legal rules and regulations to follow, it is best to meet your outsourcing provider and make sure that you adhere to both the legal systems. This will help you to sort out any legal issues of outsourcing. Some countries have strict data protection and privacy laws, which might be a hindrance in outsourcing. In such cases, the outsourcing provider and the customer would be legally bound and share equal legal responsibilities. This might increase the liability of the customer and in some cases can become a legal issue in outsourcing. Outsourcing service providers also have to protect their business from civil penalties. Conduct some research on the country that you want to outsource to and if the local laws of that country are a hindrance, find another outsourcing service provider. The influence of local laws is another major legal issue in outsourcing. Dispute settlement is yet another legal issue with outsourcing. If a customer from U.S wants to sue an outsourcing provider in China, there would be plenty of disputes. The Chinese outsourcing provider would not want to go to the U.S and the U.S customer would not want to come to China. There is also the legal issue of where the case will be filed, as the case has to be fought in the country where the case is filed. These two countries would also have two different legal systems. When making a settlement contract with your outsourcing provider, ensure that you mention the system of dispute settlement. Clarifying the legal aspects in outsourcing and dealing with the problem of dispute settlement can avoid future problems. India is the most idea place to outsource to. When you outsource to India, you need not face many legal issues in offshore outsourcing. There are many global organizations which have been outsourcing to India and these organizations have not faced any hindrance with the legal issues of outsourcing to India. Indian laws are always going through amendments and they are often changed to effectively meet the requirements of today and to be in unison with the latest international laws. India complies to the "agreement on trade related intellectual property right". India also accepted the "world trade organization agreement" even when outsourcing was just starting. The Indian government has brought about many effective changes in patents, copyrights, designs, trademarks to meet the requirements of today. Such effective changes have transformed India's intellectual property laws. When a legal contract has to be made between two countries, the legal regime of any single country becomes insufficient to deal with the situation. Outsourcing brings about two legal systems into the picture and this is where the private international law comes into place. Before you sign a legal contract with your outsourcing provider, make sure that you decide about which law would govern the legal contract. In India, the outsourcing service providers ensure that the "Proper Law of contract is applied, before a legal contract is signed. The courts in India have always endorsed the choice of proper law. If you have expressed the choice of law in the legal contract, you can be sure that it will be supported in the Indian courts. When you outsource to India, you can choose the law that would govern the legal aspects of the contract. You can also decide which court would conduct the jurisdiction. The sections 13, 15 and 44A of the Indian Civil Procedure Code and Section 41 of the Indian Evidence Act, govern the conclusiveness and enforcement of foreign judgments made in India. Outsource2india offers an entire range of cost-effective services which include call center services, data entry services, engineering services, finance and accounting services, creative design, web analytics services, healthcare BPO, photo editing services, software development, research and analysis services and a host of other additional services. Outsource to O2I and get access to high-quality services that can give your business a competitive edge! 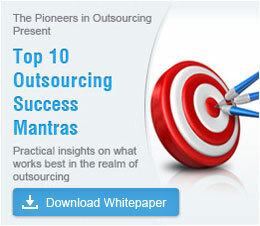 Discover more about the Ethics in Outsourcing.